If you remember nothing else about all of this technology, remember this: Be afraid. Be very, very, afraid. There simply is no better way to sum up everything that follows better than those few words. 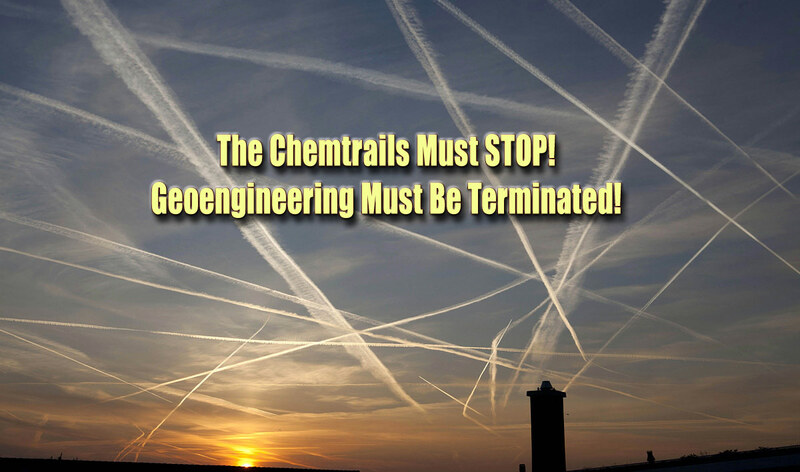 This is the mother load of all posts dealing with Chemtrails and related matters. Brace yourselves. My post will draw from two previously written and well footnoted articles written by Peter A. Kirby at Activist Post. One can make an estimate of the concentration of the field around an object or man by considering the potential in space in which it exists. For example, in a field of 100 volts cm⁻¹ a man’s head is in a region where the potential is about 20,000 V with respect to ground. Because of the relatively high conductivity of the body the man’s head is at ground potential and therefore a corresponding amount of charge has passed from the ground up to his head. If we approximate the head as a sphere of 10 cm radius, its capacity is about 10⁻¹¹ farads so the induced charge on it is about 2 x 10⁻⁷ coulombs and the field at its surface is approximately 2000 volts cm⁻¹. Accordingly, we see that the field and hence the rate of aerosol deposition should be about 20 fold greater on the man’s head than on the ground.